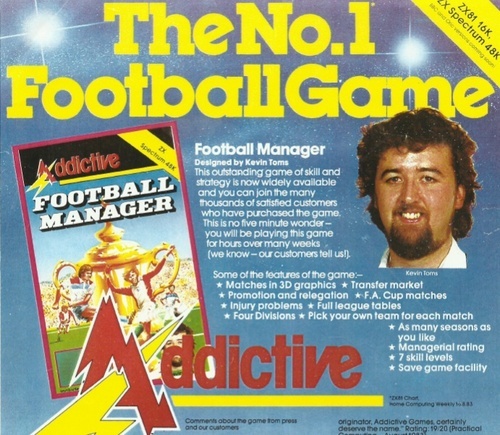 Game desingner, Kevin Toms founded Addictive Games and created Football Manager, game for the TRS-80 and ZX81 in 1982. This was a simulation game written in basic and marked the beginning of the management game genre. These were initially available by mail order but the game became a big success when computer stores stared stocking copies. Toms went on to develop other versions of Football Manager (1988 and 1990) written in computer code, long after he sold his company. 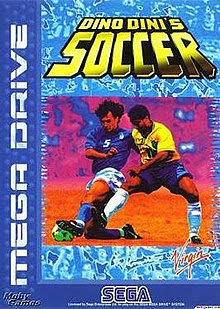 In 1988, video game developer, Dino Dini created the Kick Off series of football games with a bird’s eye view and overhead kicks and goal keepers. In the sequel Kick Off 2, players could bend the ball and Dini followed-up the Kick Off series with Goal! (also known as Dino Dini's Soccer). 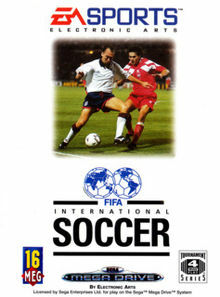 Now very much an established and lucrative market FIFA released FIFA International Soccer, in 1993. This featured an isometric view with David Platt on the cover and soon became best selling video game of the year. Henceforth, FIFA (FIFA Football or FIFA Soccer, ) released annual updates and under the FIFPRO licence, FIFA ’96 real players’ names were used. 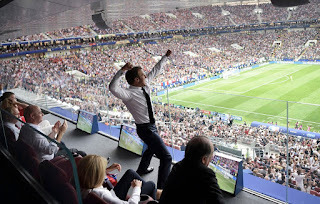 By 2010 the FIFA series had sold more than 100 million copies worldwide, making it the best-selling sports video game franchise in the world, and one of the best-selling video game franchises. A year later, the FIFA franchise was localised into 18 languages and available in 51 countries. FIFA 12 holds the record for the "fastest selling sports game ever" with over 3.2 million games sold and over $186 million generated at retail in its first week of release. 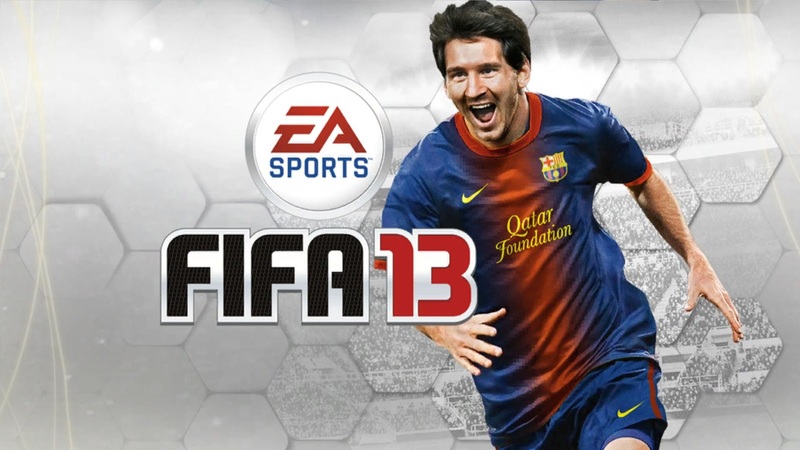 Lionel Messi (Argentina) appeared on the covers from FIFA 13 to FIFA 16. 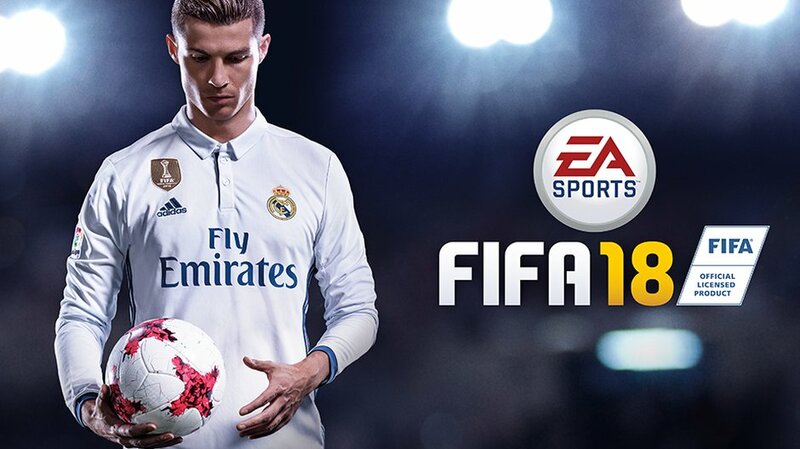 In the latest version, FIFA 18, Cristiano Ronaldo (Portugal) is the face of the franchise. 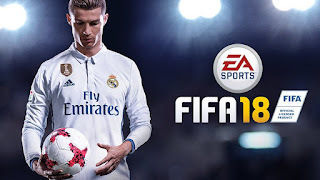 FIFA 18, is now available for multiple gaming systems, another indication how popular soccer based computer games have become. 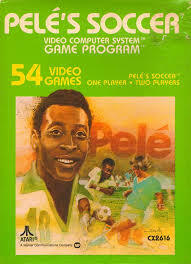 The following is a brief history of soccer based computer games.